The City Series was the name of a series of baseball games played between Major League Baseball's Philadelphia Athletics of the American League and Philadelphia Phillies of the National League that ran from 1903 through 1955. After the A's move to Kansas City in 1955, the City Series rivalry came to an end. The teams have since faced each other in Interleague play (since its introduction in 1997) but the rivalry has effectively died in the intervening years since the A's left Philadelphia. 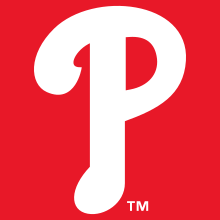 The first City Series was held in 1883 between the Phillies and American Association Philadelphia Athletics. When the Athletics first joined the American League, the two teams played each other in a spring and fall series. No City Series was held in 1901 and 1902 due to legal warring between the NL and AL. The rivalry started almost immediately at the establishment of the American League in 1901. Superstar Nap Lajoie had played for several years on the Phillies, but was displeased with the salary cap of $2,400 placed by the National League. So when the Athletics were established, Lajoie quit the Phillies and signed with the A's. In response, the Phillies filed an injunction lawsuit preventing Lajoie from playing on any other team, but the case was ruled that Lajoie was only barred from playing in Pennsylvania. Due to the lawsuit, Lajoie was sent to the Cleveland Bluebirds due to the financial assistance Cleveland had provided for the A's early on. In 1903, the injunction was dropped when the NL and AL made peace. Lajoie went on to have an outstanding Hall of Fame career. Eventually, he did return to the A's at the twilight of his career. The first City Series game was played on April 9, 1903 at Baker Bowl. The Phillies won 6-5 in ten innings. The Phillies and A's played both a spring and fall series in 1903. The Phillies took four of five games in the spring. With Baker Bowl in disrepair following the collapse of a section of bleachers on August 8, 1903, all of the post-season games were played at Columbia Park. The A's won four of the seven games. In 1905, the A's and Phillies only played the spring series as the A's were in the 1905 World Series against the New York Giants. The two teams played eight games between April 1 and April 12, 1905, alternating games between the A's Columbia Park and the Phillies' Philadelphia Park. The teams split the 1905 series four games to four. Seven games were scheduled for April 1909. Shibe Park was being completed for its grand-opening so the Phils and A's played the entire series at the Phillies' Baker Bowl. The teams played six games with the Phillies winning five. Phillies Hall of Fame pitcher Grover Cleveland Alexander made his Philadelphia debut during the pre-season 1911 Series. Alexander pitched five-innings of no-hit no-run baseball. He would make his official Major League debut on April 15, 1911. The Athletics entered the 1913 preseason City Series riding a 19-game exhibition season winning streak. The A's and Phillies had six games scheduled prior to Opening Day 1913. The A's won the first four, game five went 18-innings and ended tied 2-2, and the Athletics won the sixth game to run their streak to 23 wins before starting the season. The Phillies left Baker Bowl after the 1938 season with a 30-38-1 record in City Series games at Baker Bowl against the A's. The 1950 series was planned for three games prior to Opening Day. Snow flurries and cold weather caused the cancellation of the first game. The Athletics beat the Phillies 7-4 in the first game and the Phillies won the following game 11-2. The Athletics moved to Kansas City prior to the 1955 season. The A's, now based in Kansas City, traveled to Philadelphia at the end of spring training to play the pre-season exhibitions against the Phillies. The A's beat the Phillies in the second game, 10-2, at Wilmington Park, home of the original Wilmington Blue Rocks. The Athletics continued to hold spring training in Florida through 1968 in West Palm Beach and then Bradenton. The Phillies and A's continued to face each other in spring training until the A's moved their spring training to Mesa in 1969. The Athletics played the Phillies for the first time in interleague play in June 2003 at Veterans Stadium. The Phillies invited former A's Eddie Joost and Gus Zernial to the games. Connie Mack's daughter Ruth Mack Clark attended the first game. Former Florida U.S. Senator Connie Mack III, Mack's grandson, threw out the first ball. The Phillies played the Athletics in Oakland in June 2005. The A's invited Eddie Joost to throw out the first pitch before the series opening game on June 17, 2005. In 2011 the Athletics visited the Phillies at Citizens Bank Park for an interleague series in which the Phillies took two out of three games. ↑ Gordon, Robert; Tom Burgoyne (2004). Movin' on Up: Baseball and Phialdephia Then, Now, and Always. B B& A Publishers. p. 128. ISBN 0-9754419-3-0. Retrieved 2009-05-22. 1 2 Westcott, Rich (1996). Philadelphia's old ballparks. Temple University Press. p. 51. ISBN 1-56639-454-6. Retrieved 2009-06-02. ↑ The Reach Official American League Guide. A.J. Reach. 1903. p. 49. Retrieved 2009-05-22. ↑ The Reach Official American League Guide. A.J. Reach. 1905. p. 127. Retrieved 2009-05-22. ↑ Sparks, Barry (2005). Frank "Home Run" Baker: Hall of Famer and World Series hero. McFarland. pp. 25, 26. ISBN 0-7864-2381-1. Retrieved 2009-05-28. ↑ Thomas P. Simon, ed. (2004). Deadball stars of the National League. Brassey's. p. 209. Retrieved 2009-06-01. ↑ Sparks, Barry (2005). Frank "Home Run" Baker: Hall of Famer and World Series hero. McFarland. p. 99. ISBN 0-7864-2381-1. Retrieved 2009-05-22. ↑ Roberts, Robin; Rogers, C. Paul; Williams, Pat (1996). The Whiz Kids and the 1950 Pennant. Temple University Press. p. 214. Retrieved 2009-05-22. ↑ Peterson, John E. (2003). Kansas City Athletics: A Baseball History, 1954–1967. McFarland. p. 52. ISBN 0-7864-1610-6. Retrieved 2009-05-22. ↑ "Spring Training Sites for all American League Baseball Teams". Baseball-Almanac.com. Retrieved 2009-06-03. ↑ Kuttner, Tony (2005-06-17). "Notes: Phils get aggressive on bases; Club runs into a few outs, but Manuel pleased with attitude". MLB.com. Retrieved 2009-05-22.